TORREYA STATE PARK, FLORIDA—Religious scholars have long debated where Noah constructed his floating zoo made of “gopher wood” (Genesis 6:14) and what tree the ark’s gopher wood even came from. Some residents in the Florida Panhandle have an unlikely answer. The place in question is, well, there, and the tree in question is torreya taxifolia. Known locally as gopher wood (or, less Biblically, as stinking cedar for the astringent smell it releases when needles and stems are rolled between the fingers), local legend has it that the tree with its supple yellow wood was used to build the ark that Noah rode out 40 days of floods on, with the menagerie landing, eventually, on Mount Ararat in Turkey. Now, thousands of years later, the tree faces a new era of ecological violence. Torreyas have been trapped by geography for millennia, only living in a few ravines that cut across the Apalachicola River Basin. That’s left them vulnerable to the outside disturbances that have come crashing into the Florida Panhandle and now threaten their very survival. Globalization delivered a fungus the tree had no defense against that has been slowly strangling torreyas to death for decades. Then last October, Hurricane Michael rapidly spun up into a Category 4 storm, plowing through Panama City and into the Panhandle. Its path was like a catastrophically precise ecological bomb with the strongest winds passing right over the Apalachicola Basin. The storm toppled canopy trees that either crushed the shaggy torreyas or exposed them to harsh sunlight, which can kill them. The already critically endangered tree is now on life support with just a few hundred individuals left in the wild. Conservationists are in a race to save the trees that remain. Local volunteers and scientists from the Atlanta Botanical Garden are using a mix of mapping, genome sequencing, and conservation techniques to find trees hearty enough to survive in a world that’s become less hospitable since Biblical times. If successful, their efforts could yield a model for how to protect forests around the world from increasingly formidable threats of climate change and invasive pests. The U.S. timber industry scored a win on April 9 in the decades-long battle with Canada over softwood lumber, after the World Trade Organization ruled in its favor. On April 9, the WTO decided that the United States Department of Commerce had done the correct calculations when it determined anti-dumping duties on Canadian softwood lumber. Softwood lumber has been the subject of an enduring trade dispute between the two countries, and the most recent Softwood Lumber Agreement (SLA) lapsed in 2016 after 10 years. The roots of the dispute come down to two different forms of government having two different methods of lumber harvest. Canada’s provincial government owns the majority of timberlands that provide trees to Canadian producers, charging an administered fee. In the U.S., the timberlands are typically privately owned, and the market determines the price of those logs through public sales. “Both systems work until you sell the lumber in the United States,” Roady said. In November 2017, the U.S. Commerce Department determined that Canadian exporters had sold lumber in the U.S. for 3.2 percent to 8.9 percent under fair market value, and that Canada is subsidizing softwood lumber producers at rates of 3.34 percent to 18.19 percent. The department determined that Canadian lumber producers should then pay a combined tariff of 20.83 percent. In its mixed ruling on April 9, the WTO determined that the U.S. use of “zeroing” to calculate the anti-dumping duties is not prohibited. In the past, the organization had ruled against the methodology. The ruling also determined that the U.S. had violated international trade rules when it calculated the tariffs on softwood lumber imports, which Canada applauded. One way to improve Jacksonville’s problems with stormwater flooding, crime, air pollution, job creation and mental health is simple – plant more trees, said Karen Firehock. As executive director of Green Infrastructure Center, a nonprofit based in Charlottesville, Virginia, Firehock and her team have been conducting a federally-funded independent review of Jacksonville’s urban canopy and its effect on stormwater and water quality. During the second of three public meetings, which was sponsored by the San Marco Preservation Society and held in Preservation Hall February 28, Firehock explained how her organization is helping the City of Jacksonville map, evaluate and restore its urban forest while focusing on stormwater management. Jacksonville is one of 12 southern cities to be part of the study, which is funded by the United States Forest Service. One way to improve Jacksonville’s problems with stormwater flooding, crime, air pollution, job creation and mental health is simple – plant more trees, said Karen Firehock. As executive director of Green Infrastructure Center, a nonprofit based in Charlottesville, Virginia, Firehock and her team have been conducting a federally-funded independent review of Jacksonville’s urban canopy and its effect on stormwater and water quality. During the meeting, which was sparsely attended, Firehock discussed specific ways the City can beef up its green infrastructure. At the end of the study, the nonprofit will provide the City with an online casebook, which Jacksonville residents can access with its recommendations and findings. 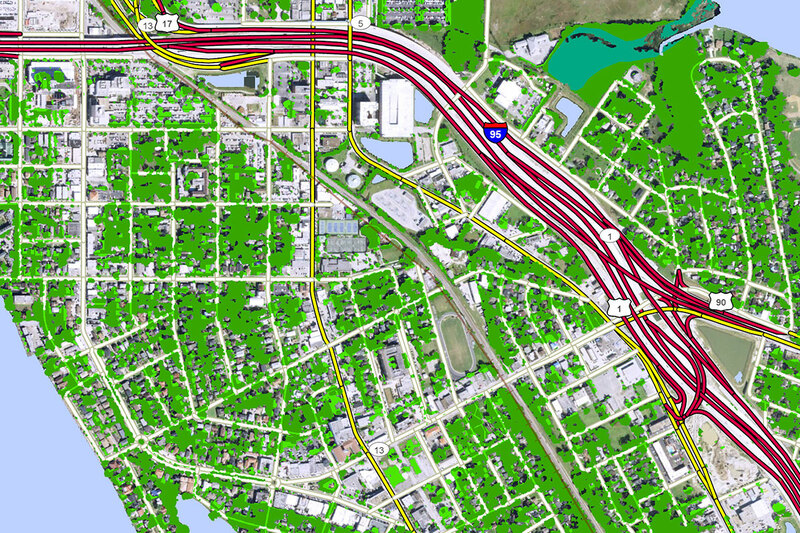 The Green Infrastructure Center held its third and final meeting March 28 in Springfield. “We want cities to understand that trees, wetlands, streams, and rivers are part of the cities’ infrastructure, and we need to manage them just like we manage our built assets,” she said, noting that “gray” infrastructure is comprised of sidewalks, roadways, pipes, and buildings. Jacksonville Urban Forester Richard Leon agreed. “We are looking at how urban trees affect our city’s water quality, and how we can incorporate trees, so they are looked at as infrastructure and not just as a commodity,” he said before the meeting. 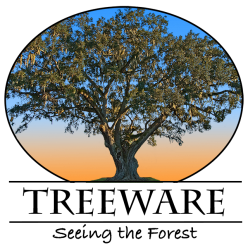 Forty-two percent of Duval County is covered with trees, although they are not evenly distributed. Having a healthy urban tree canopy is very beneficial. Not only do trees soak up stormwater – a single tree, depending on species and size, can soak up between 760 and 4,000 gallons of water per year – they provide “access to fitness,” clean the air, improve mental health, reduce crime, lower residential vacancy rates, encourage people to shop more, and attract small companies to cities,” Firehock said. Western towns surrounded by and dependent upon public lands are forced to get creative as federal recreation budgets continue a slow decline. They are boosting local efforts to maintain public access. 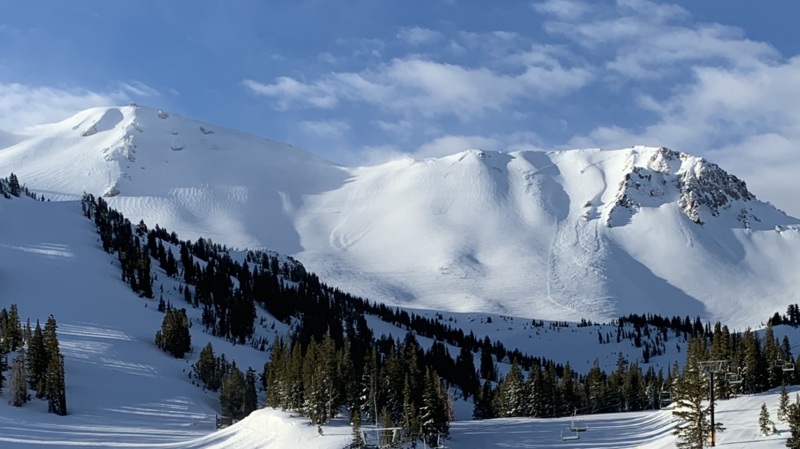 It’s the boom times in Mammoth Lakes, Calif., which is wrapping up a winter of record snowfall. Eager to take advantage of it, Donovan Sliman and his two young daughters are lumbering up a snowy trail on the outskirts of town, where the condos give way to National Forest. “I like to get away from everybody else,” says Donovan. “I like to hear the sound of the wind and the snow through the trees.” “We’re also going to go sledding,” adds Grace, one of his daughters. Every year, more than 2 million people descend on California’s eastern Sierra region to camp, hike, fish, hunt and ski. This region, often dubbed “the wild side” of the state, only has about 50,000 residents across two sprawling counties roughly the size of Massachusetts. Across the western U.S., towns surrounded by public lands are facing an increasing bind: They’re seeing a huge surge in visitors coming to play in the forests and mountains surrounding them, which is leading to an economic boom. But, at the same time, federal funding to manage these lands has been drying up. A fire-retardant structural material can be made by chemically softening and compressing wood to remove the spaces between cell walls. When burnt, the resulting material forms a protective char layer on its outside which helps preserve its internal strength. The use of wood in structural applications is limited by both its inherent flammability and susceptibility to rapid collapse on burning. Wood can be made more fire-proof by chemical treatments – such as through injections of halogenated flame retardants, or coatings of inorganic nanoparticles – but these approaches are typically either prohibitively expensive, fail environmental and health standards, or result in insufficient structural strength. Liangbing Hu and colleagues of the University of Maryland in the US show that their process to create bullet-proof wood through densification also confers fire-resistant properties without recourse to potentially toxic or environmentally-unfriendly materials. The densified material – which Hu dubs ‘super wood’ – is created by first chemically treating timber with sodium hydroxide and sodium sulfite to partially remove its lignin, the organic polymer which makes cell walls rigid. Subsequent hot pressing creates a dense, laminated material free of lumina – the tiny channels that create a porous structure, supplying oxygen and increasing flammability. Hurricane Florence wrecked these birds’ homes. Foresters helped them rebuild. Days of wind and rain snapped or toppled trees throughout the Croatan National Forest, both near the NC coast. Among the trees felled were long leaf pines that were home to some of the forests’ most celebrated residents: endangered red-cockaded woodpeckers. Hurricane Florence, one of the costliest storms ever to hit the U.S., damaged or destroyed tens of thousands of homes when it made landfall in September. Not all of them belonged to humans. Days of wind and torrential rain snapped or toppled trees throughout the Croatan National Forest and on Marine Corps Base Camp Lejeune, both near the coast. Among the trees felled were long leaf pines that were home to some of the forests’ most celebrated residents: endangered red-cockaded woodpeckers. The 160,000-acre forest, stretching across Carteret, Jones and Craven counties, is home to about 112 “clusters” of the little black-and-white birds. A cluster usually consists of a mating pair and up to four of the previous year’s offspring. Researchers believe the Croatan has about 300 individual birds, making it the largest site that far east and west. 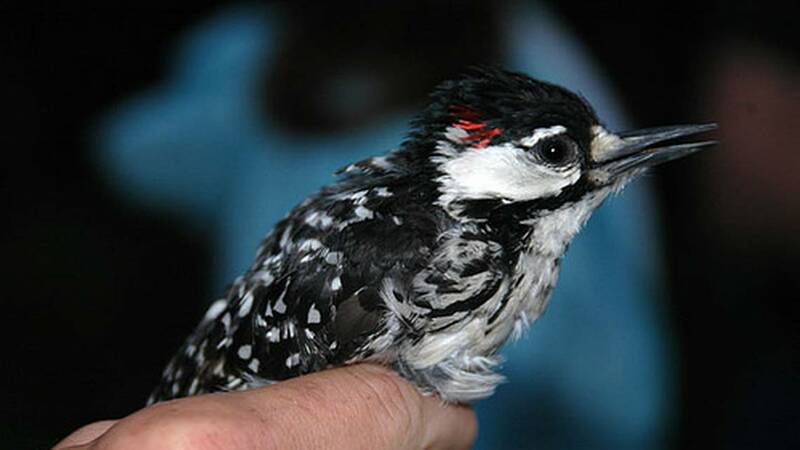 There are an estimated 16,250 red-cockaded woodpeckers total across 11 states, with the largest population being on Fort Bragg. Bigleaf maple trees in Washington state are on the decline. Researchers are on the hunt for the cause, and climate change is turning into a lead suspect. Daniel Omdal has driven past the same bigleaf maple tree for decades, often stopping his car to take pictures of its full, expansive crown. In the past few years, however, the tree has started to look more lopsided, with bare branches and patches in its crown with little to no growth. To Omdal, a forest pathologist, it seemed like an obvious case of an insect infestation. If not, perhaps some kind of disease: a damaging fungus, wilt or a rogue bacterium. Whatever it was, it wasn’t isolated to one tree. The extent of sick bigleaf maples was alarming, and Omdal wasn’t the only one who was worried. Omdal’s colleagues at the Washington State Department of Natural Resources, where he has worked since 1997, had noticed the same symptoms in many other bigleaf maples. So had many residents of the region, who called the state to report their concerns. The issue had also been occurring nationwide, with reports of sharp declines of urban tree populations in different states, such as the oak tree in Southern California. In Washington, the problem was hard to miss: Bigleafs, also known as Oregon maples, are a staple of the Pacific Northwest landscape. “These calls became more frequent, I couldn’t so easily dismiss the concerns,” Omdal says. In 2011, he became part of a state-led team investigating the bigleaf die-offs. The group discovered that about 40 percent of bigleaf maple trees in Washington state are declining, says Jacob Betzen, a graduate student at the University of Washington’s School of Environmental and Forest Sciences, who has been working with the investigative team for the past two years. The first suspect on their list was Armillaria, a fungus that causes the roots of the tree to rot. But when the team tested hundreds of trees for it, most of their results came back negative. Then, the researchers tested for another fungus called verticillium wilt. Also negative. Often, a few trees would be infected, but it was never widespread enough to be the primary cause of the species’ decline. Omdal collected soil samples to test in the lab to look for other causes. Every time his team followed a new lead, it didn’t pan out. “We would come to a dead end,” Omdal says. Then Betzen noticed something curious about the die-offs. They are much more common in developed landscapes and areas that are warmer, drier and closer to roads. That led to a new suspect: climate change. “It seemed probably related to recent weather patterns, it’s getting hotter and drier in Washington in recent years,” Betzen says. 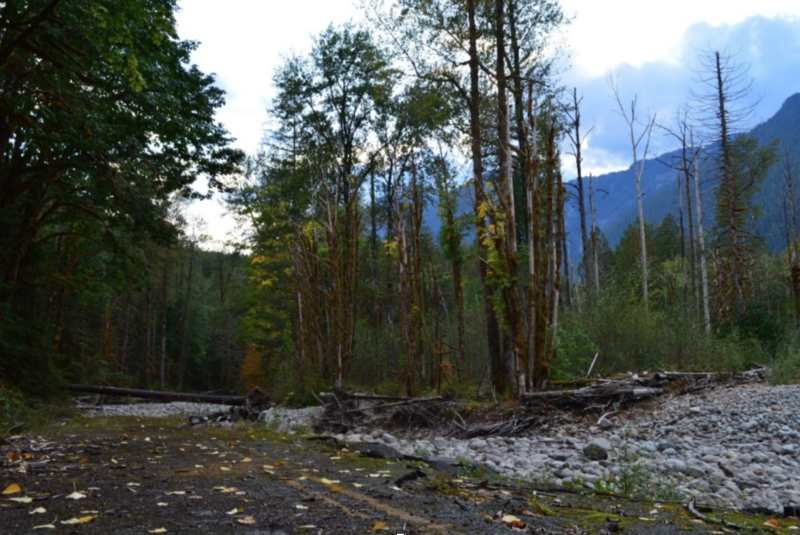 The group’s results won’t be published until Betzen concludes his research at the end of the year, but Tobin is confident that the key driver causing bigleaf maple die-offs is, in fact, climate change. 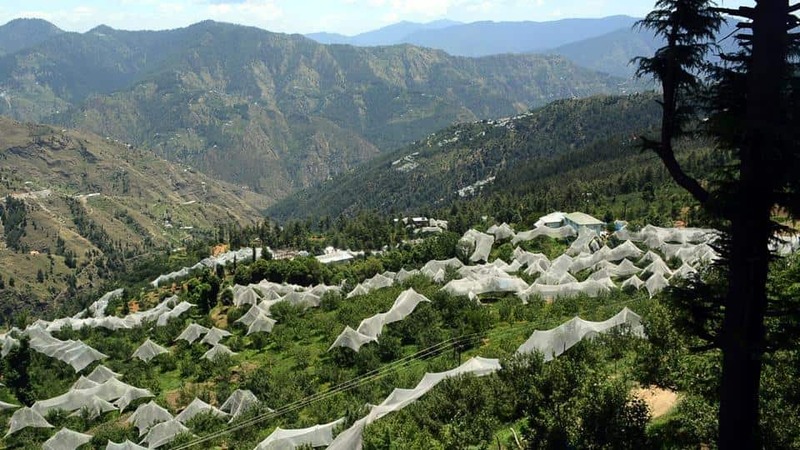 India plans to partner with the private sector in scaling up its agro-forestry efforts. This is, however, a controversial subject because environmental activists are against India allowing any private or corporate forestry projects on forest land. Agro-forestry or farm forestry will be India’s key strategy to reduce its carbon footprint so as to meet its goals under the Paris climate agreement according to the submission the country plans to make at the COP 24 climate conference that’s being held in Poland. The forest conservation division of the union environment ministry has readied a document which will be presented during COP 24 underway at Katowice in Poland, as part of India’s Reducing Emissions from Deforestation and forest Degradation (REDD+) strategy. India, through various forestry projects including agroforestry, aims to sequester about 2.5 to 3 billion tones of carbon dioxide (CO2) by 2030. Lands and Forestry Minister Iain Rankin is promising “significant” changes to the province’s forestry sector as the government embraces more sustainable management. But critics say the government’s plan lacks important detail. Lands and Forestry Minister Iain Rankin is promising a more sustainable forestry sector in Nova Scotia and less clear cutting as the province implements recommendations from the Lahey review of forestry practices, although how big that reduction will be remains to be seen. The government’s long-awaited response to the report was released Monday and received positive reactions from critics and industry, though some said the province’s plan was short on detail. “Forestry is a long-standing economic driver in Nova Scotia and it’s important we get it right,” Rankin said in a news release. Bill Lahey, the president of University of King’s College, presented his final report in August. 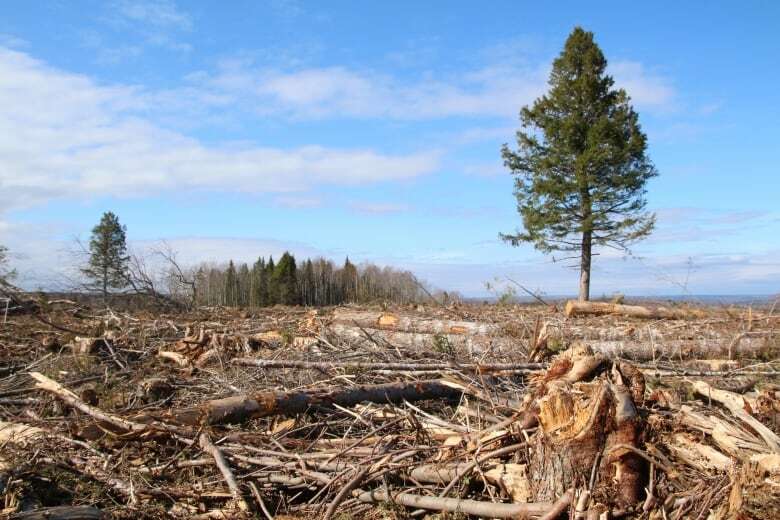 The predominant theme of the report was reducing clear cutting to 20 to 25 per cent of all harvesting on Crown land from 65 per cent. The report recommended using a “triad model” that would see some areas used for intensive commercial forestry, some protected from all commercial activity, and some designated for less intensive forestry with little to no clear cutting.